You guys that follow me on twitter would remember I tweeted about this and said I’ll do a post on it well….. here it is! This little ‘tub of wonder’ has been nothing but amazing for me. 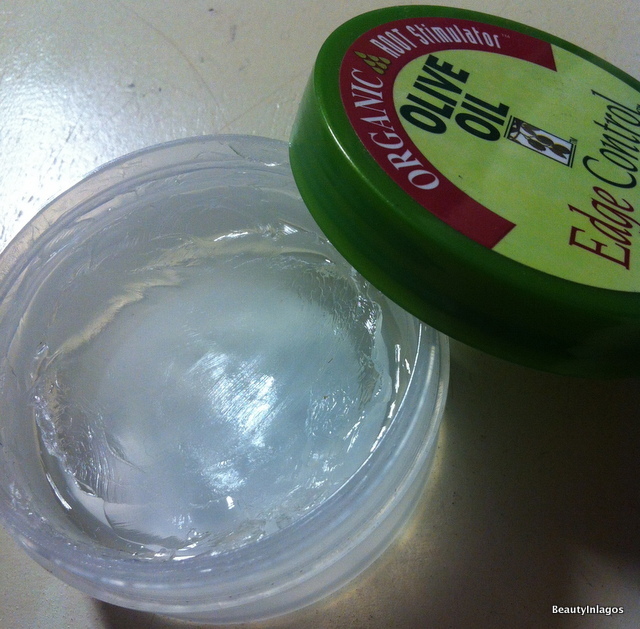 I first came across it at Blush salon, the stylists use it to tidy up your edges once they are done. My girls from the States are very familiar with it, seems like it’s more popular Stateside or something, cos I never heard of it up until at Blush. But anyways this product does all it says on the tin! 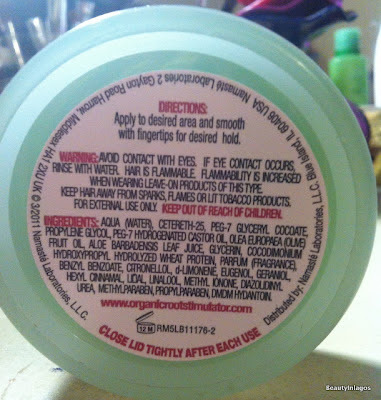 The directions on the back should be followed exactly. I find that this product works better when applied with your fingers. I’ve tried using a little brush/toothbrush to apply and smooth it down and it doesn’t work as well as I’d like. 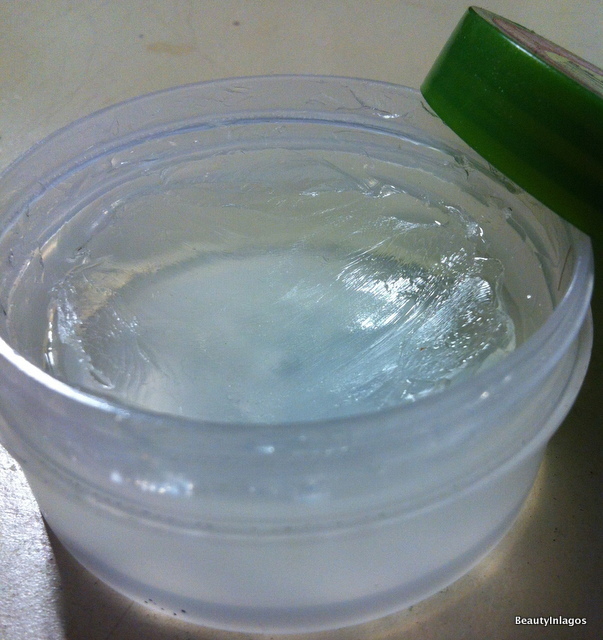 It’s a clear solid product in the tub, tried to capture it in this shot but I think I failed lol. I believe why this product works much better when applied with the fingers is because the heat from them while working it in melts it and makes it much easier to apply. It doesn’t smell like most hair ‘jam’ on the market these days, this has got a ‘sweet’ scent to it. I’m crap at describing scents, but just know this smells quite good. I have used this EVERY morning since I got it, which was about a month ago or so. What other Edge Control-type products are out there? Previous Post Vote BeautyInLagos Best Beauty Blog in Nigeria! Since I started using JBO, my hair has grown from shoulder length to arm pit length which seemed impossible 6 months ago.